The PRECIOUS Awards was founded in 2007 to celebrate and applaud the professional achievements of women of colour in the UK. 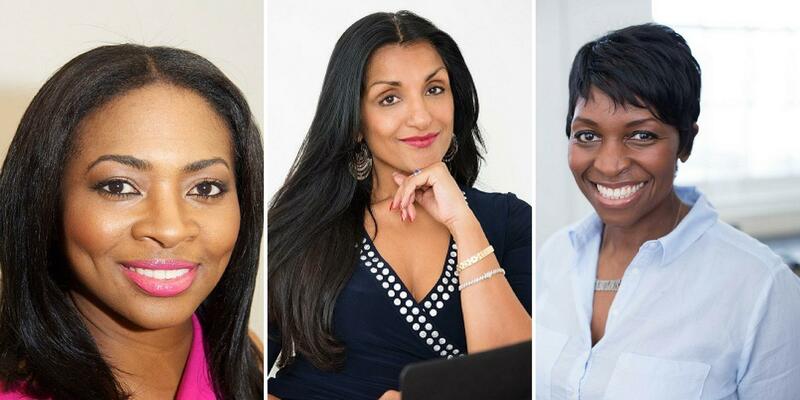 The organisation has a dynamic and passionate following, gained over eleven years of bringing brilliant women into the spotlight and celebrating the ‘Best of British’ by recognising and rewarding exceptional determination, innovation, entrepreneurial skills across multiple sectors, and inspiring women of colour to succeed in business and professional life. Over the years, the Awards have grown into a flagship event characterised by open and generous sharing of stories, strategies, challenges and experiences: a room full of exceptional women in business all ‘paying it forward’ and creating a unique atmosphere of collaboration and motivation. Now, we’ve decided that once a year just isn’t enough and so we’re thrilled to be launching a new series of networking events that capture the PRECIOUS Awards spirit all year round. PRECIOUS Nights give you the opportunity to hear from PRECIOUS Awards women about their business journey, catch up with old connections and build your network with new contacts. Each event will feature a panel of previous PRECIOUS Awards category winners and finalists sharing their insight and top-tips. Tickets are just £10 and include a networking reception with drinks. Arit is the founder of DiVA a recruitment and training organisation specialising in creative, business, and digital apprenticeships. DiVA supports individuals into work in some of the UK’s leading brands including Universal Music, BBC Worldwide, Warner Music, Warner Bros, All3 Media, 20th Century Fox, the Southbank Centre and more. Arit founded DiVA out of a passion for providing access to excellent career opportunities for talented individuals from diverse communities. She has worked with the UK Film Council (now part of the BFI) supporting new talent in the development of feature projects. As a Project Manager at Creative Skillset, she spearheaded the design and delivery of high-end internship scheme the Graduate Fellowship Programme connecting talent from the Black, Asian, Minority and Ethnic communities to paid internships in top film companies. Arit holds a second MA in Executive Leadership Development and Mentoring. As a career development coach, trainer and speaker she is often called to deliver master-classes and talks on recruitment, entrepreneurship and intrapreneurship. Arit won the PRECIOUS Entrepreneur of the Year and the Business of the Year at the 2017 PRECIOUS Awards. Geeta is an author, inspirational speaker, CEO and Founder of Nosh Detox. She gave up her career as a corporate lawyer to set up her own business, Nosh Detox in 2008, after her son’s severe food allergies, eczema, asthma and anaphylaxis as a baby led her to retrain as a Raw Chef and functional nutritionist. Geeta describes herself as a health coach and nutritionist with a holistic understanding of how nutrition affects body functions. She has applied this passion to help over 15,0000 clients treat everything from problem skin, weight issues and digestive problems to coping with stress and fighting infections. Geeta’s strong skills in business development and her entrepreneurial acumen have seen Nosh grow from a start-up to a multi-award winning wellness empire that now consists of a group of companies including Nosh Raw and Nosh Infusion. July of last year saw Geeta launch the very first Nosh Infusion Clinic in the exclusive Harvey Nichols, London, and more recently, the new flagship Nosh Infusion Clinic at 400 Kings Road, jointly with Chelsea Health Store. Geeta won the PRECIOUS Business of the Year Award and the Entrepreneur of the Year in 2010. Denise is an award-winning entrepreneur, lawyer and broadcaster. She is CEO of NewLaw firm Halebury, a business she co-founded with friend and fellow lawyer Janvi Patel in 2007. The aim of the business was to create the kind of law firm that they would want to work for, bringing the best of in-house talent to businesses and creating a platform for talented lawyers to stay in the profession and live their best lives. Starting her legal career in the corporate commercial team at Charles Russell, Denise went on to work in-house for Sky as a technology and broadcast lawyer. In 2005 Denise won an internal competition at Sky promoting presenting talent, which led to her additional career as a broadcaster. Denise was a core presenter of the BBC’s flagship programme Escape to the Country for seven years and presented for Sky News and Sky Travel. Denise won PRECIOUS Awards for Best Business and The Entrepreneur of the Year in 2015.